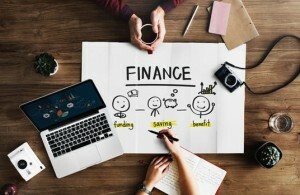 Regardless of whether you supplement your savings through other means, you should always have a healthy emergency fund on hand when you look to start a business. That is why, before you make the leap to start your own business, you should look at your spending, cut out unnecessary payments, and find ways to save as much as possible from the start. Set realistic savings goals, put money away at the start of the month or just after you get your paycheck, and build up an emergency fund that will help you and your business weather the storm. This fund should be continually added to, as well. There is no perfect amount. In the best case scenario, where you don’t touch your emergency savings, this money can be used towards your retirement. Having it will give you peace of mind and help you pay for emergencies and repairs out of pocket, instead of indebting yourself further. If you save enough, a portion of this fund can even be used to reinvest later on. The possibilities are endless, but they can only be accessible if you start saving now. If your business is already established, then one of the best ways to free up money in your business is to lower costs. This step should be done regardless of whether you are strapped for cash or not, as it ensures that your business is better all around. Instead of firing or reducing the quality of the items that you offer, however, try to use your data to cut out redundancies and to streamline your management so that work gets done more quickly. Other ways you can lower costs are to lower your utility bills. Swapping for energy-efficient appliances or installing renewable energy solutions will go a long way towards lowering your utilities and even opening yourself up to tax rebates. If you don’t have the upstart money, take out a loan and then use your savings towards repayments. Once the repayments have been made, you will enjoy greater profit margins as a whole. This won’t work for all business types, but if you are a local business who is a part of the community and you need cash for repairs, it could work wonders. Get your friends and family together to hose a fundraiser to save your store by, for example, fixing the flood damage, and you can get the funding that you need and rally together your local community at the same time. Investors are particularly useful if your business requires a large upstart budget. This will happen if you are trying to put a new product out on market and need to create the product in question for mass-production. Investors will often pay for the initial batch to be created and sold in exchange for a percentage of your company. They can be a great way to get off of your feet, but they can hold you back later on in terms of control so be careful when making any sort of deal. Government funding and resources will vary from state to state and even country to country. What remains the same is that all business should stay up to date with what is available to them. If you switch to solar energy, for example, you could enjoy a tax rebate if you operate in the state of California. Combine as many benefits on the state and federal level as you can, so that you can get money back for the initiatives and choices you have already made for the betterment of your company. There are so many different loans out there that it is a mistake to get the first one that you think of or is available to you. By instead researching through the different types of loans, you can ensure that not only is the interest rate favorable, but that you are working with the best investors. Doing this will open many doors for even those with poor credit. For example, if you own and maintain a car, you could be eligible for a loan from Car Cash Point. The more research you do and the more comparisons you make between investors, the better. Crowdfunding has a lot of potential, but it is important to remember that it only works if you are trying to put out a product that people want. If you are hoping to open a local convenience store, for example, it is unlikely that you will get international backing. Crowdfunding is great for those who want to put out a product, whether that be a physical product, like a new phone, or a digital product like a video game. Put the project up on a crowdfunding site and see if you can get the funding you need to stay in complete control of your creation and still acquire the funding you need to put it on shelves. There are so many ways that you can acquire the funding that you need for your business, so always research your options and try out different avenues. The last thing you want is to become in debt, so find the most favorable option for you and your business. Use a variety of solutions at once, and you can bring in the maximum amount of funding with the smallest return. This way you can get your business past whatever hurdle you are facing, and have enough to reinvest into your future. I'm a dummy user created for scooping great articles in the network for the community.